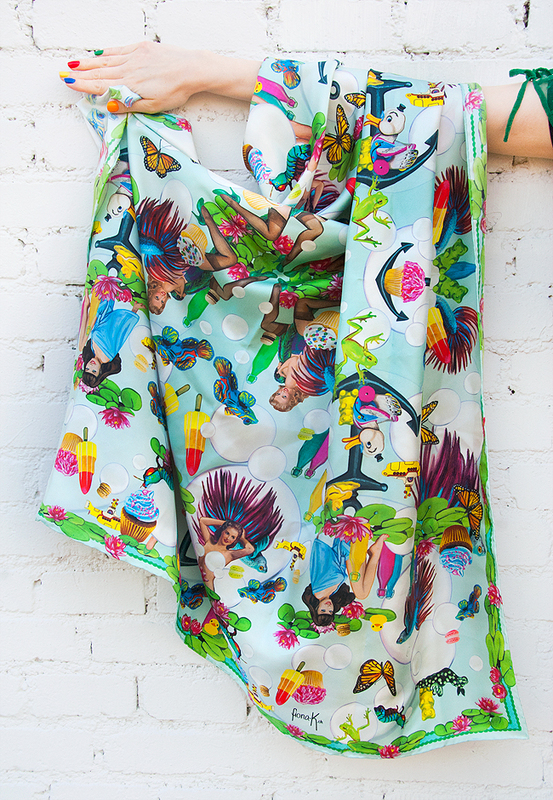 Let me tell you about the fabulous silk scarves of Fiona K. These scarves are the place where Alice in Wonderland has a crazy party with cats and diamonds, dwarves from the dark side of the moon listen to the guitar sounds of stunning pinup girls, and the yellow submarine makes its way through a land of ice cream and soap bubbles. 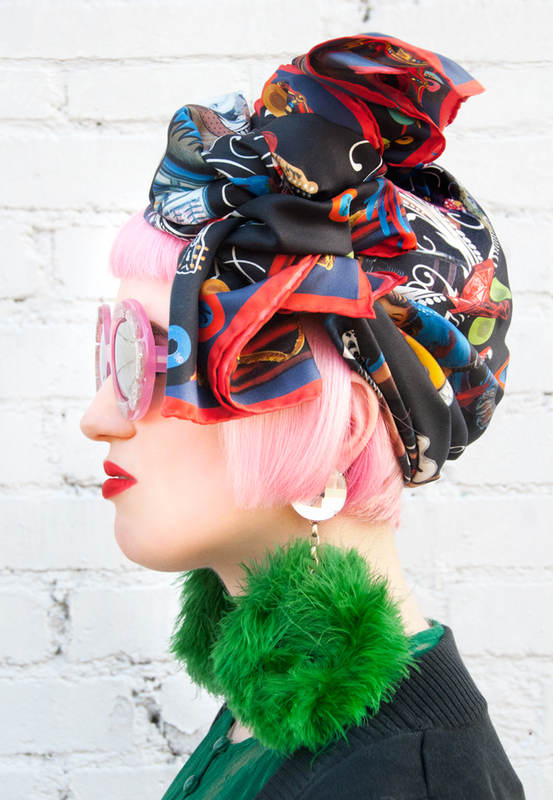 While Fiona is a girl of many talents – she is an industrial designer as well and owns a record store – "Amour Fou" is her first silk scarf collection. 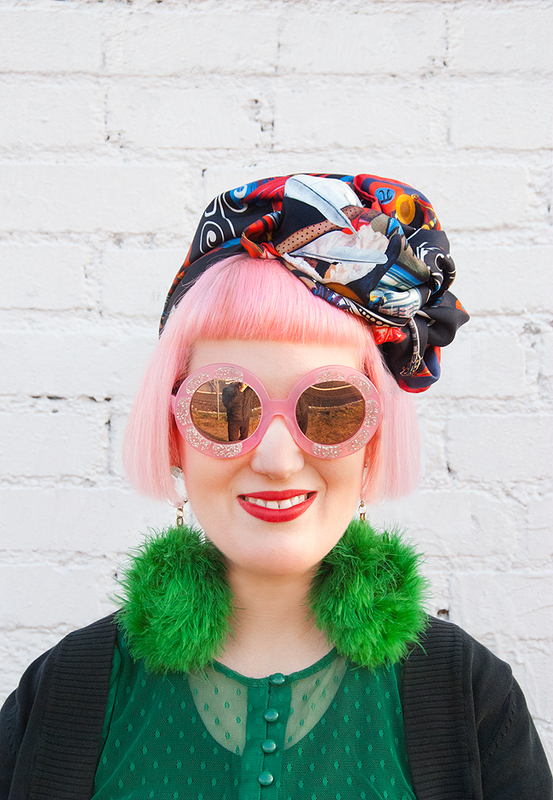 The young Swiss designer found her inspiration in the music of the 50s to the 70s. This is a perfect match, especially since her art studio is located in her record store in Zurich. The music from songs like "Diamonds Are a Girl's Best Friend", "Sweets For My Sweets" or "Shine on You Crazy Diamond" flows directly from the records into her creative work. 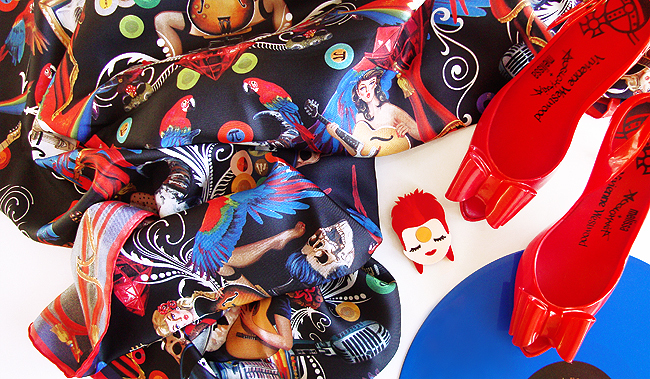 Fiona says that she made a collection for daydreamers and unconventional thinkers with a love for nostalgia. 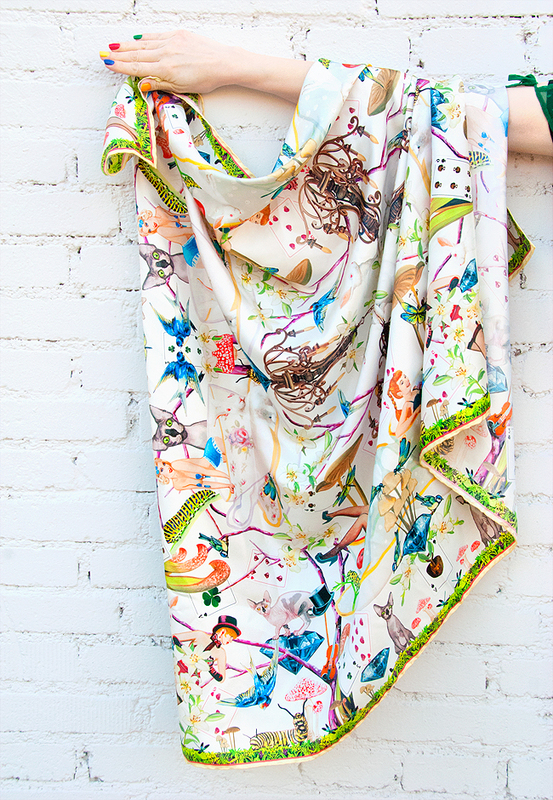 All prints by Fiona K. are hand-painted, then scanned and arranged to astonishing ornaments. 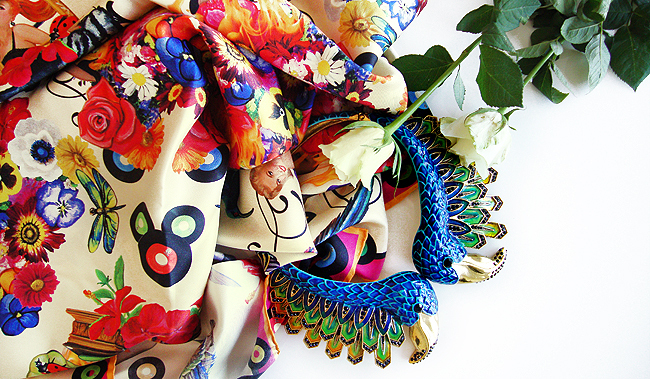 The scarves are digitally printed on high-quality silk in Como (Italy) and hand rolled. 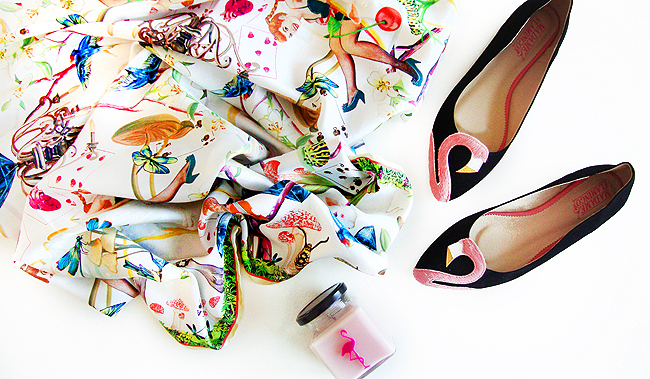 fabulous prints!, these scarves look really appealing!